Photograph of President and Mrs. Calvin Coolidge. 1928 November. 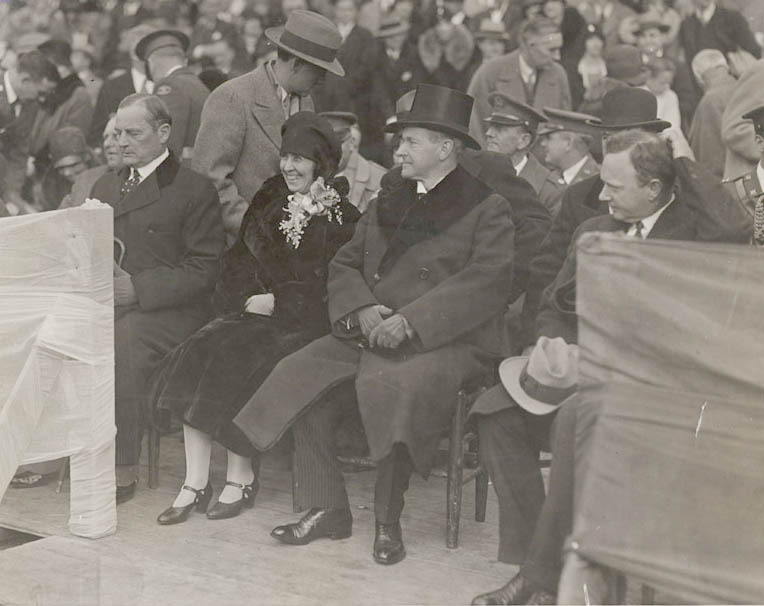 President Calvin Coolidge and his wife attended the 1928 Virginia vs. North Carolina Thanksgiving Day football game at Lambeth Field. Seated to the right of Mrs. Coolidge is Governor H. W. Chase of North Carolina and to the right of the President is Governor Harry F. Byrd of Virginia. Courtesy of the University of Virginia News Service. ← HENRY H. CUMMINGS, JR.